A common theme that emerged during the roundtables was that Canada’s “one-size-fits-all” approach to financial regulations works reasonably well for large financial companies, but unnecessarily inhibits the creation of innovative fintech companies. We believe Canada needs to create safe spaces for businesses to test financial innovations without incurring regulatory consequences that are inappropriate for the scale at which those companies are operating. Recommendation: The Office of the Superintendent of Financial Institutions (OSFI) should spearhead an initiative to create and administer the financial regulatory sandbox where eligible small and emerging companies can operate in a well-defined space and for a limited duration while offering financial products and services to Canadian consumers. Is the new solution novel or significantly different from existing offerings? Does the innovation offer an identifiable benefit to customers? Does the business have a genuine need for testing within the sandbox framework? Has the business invested appropriate resources in developing the new solutions, understanding the applicable regulations and mitigating the risks? Does the business have the intention and ability to deploy the solution in Canada on a broader scale? Because of Canada’s complicated financial regulatory structure, federal and provincial regulators will have to work together to create and administer the financial regulatory sandbox.What mechanisms for accountability, or measurement can be put in place for the idea? What mechanisms for accountability, or measurement can be put in place for the idea? The projects will be monitored throughout their time in the financial sandbox. While specific regulatory requirements will be relaxed in the financial sandbox, the regulators will work with innovators to ensure that appropriate safeguards are built into their new products and services before these reach a mass market. Firms participating in the sandbox will have to report on agreed milestones, findings and risk management. Regulatory Failure: Typical financial regulations are designed, in part, to limit systemic risk. However, these regulations can also limit innovation. Thus, the overarching goal of the financial regulatory sandbox will be to ensure that regulations intended to protect Canadians from massive failures in the financial industry are not applied to smaller companies in a way that will needlessly stifle innovation. Inequality of Opportunity: The financial regulatory sandbox will increase the economic inclusion of low-income households and under-serviced communities in Canada by providing them with financial products and services that the big banks may not consider valuable enough to create. Market Power: Competition will be increased in a sector that is currently dominated by a few large players. What are potential benefits of the idea and what are the costs? Benefits: Fintech focuses on creating technological innovation to make financial markets and systems more efficient and consumer focused. By reducing barriers, companies can create financial innovations that are smaller and can benefit communities, such as First Nations, the working poor and new Canadians, who often lack access to affordable financial tools. Economic Inclusion: By creating sandboxes and giving businesses a safe space to test innovative ideas without incurring all of the regulatory consequences, we can ensure that regulations are not stopping companies from taking advantage of economic opportunities because they lack the resources to meet regulatory requirements designed for large financial firms. The reduced set of requirements benefits small businesses that do not have the resources to navigate the financial regulatory environment. Furthermore, we expect many fintech start-ups will focus on providing enhanced access to lower-cost services, which disproportionately benefits Canadians of limited means. Autonomy: Financial start-ups that make it easier for low-income individuals to obtain capital give them more options to start businesses, invest in skills training and fully participate in a modern economy. 1 Financial Conduct Authority, Regulatory sandbox (2015). 2 Monetary Authority of Singapore, MAS Proposes a “Regulatory Sandbox” for FinTech Experiments (2016). 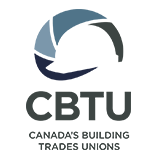 3 Government of Australia, Backing Australian FinTech (2016). 4 Financial Conduct Authority, Regulatory sandbox (2015). 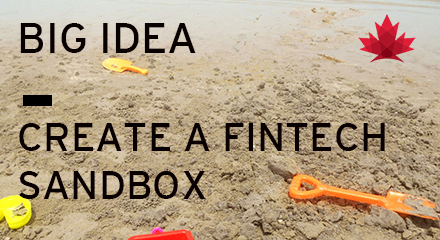 5 Monetary Authority of Singapore, MAS Proposes a “Regulatory Sandbox” for FinTech Experiments (2016).